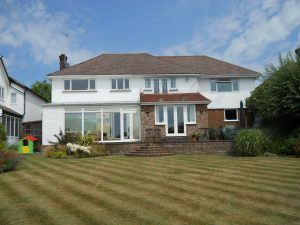 Here are before and after photos of a house which had previously had some extensions which did nothing for the flow and appearance of the house. The owners wanted to add a bedroom to the first floor by cleverly altering and adding to the first floor, without adding too much bulk to the house. On the ground floor they wanted a large, open space to enjoy with their friends and family, and to bring the appearance of the house a little more up to date. 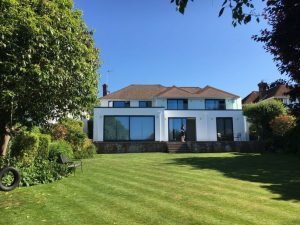 The result was a very light, spacious and contemporary addition which transformed the rear of the house, with a large balcony featuring frameless glass balustrade. ← Bungalow Extension in High Salvington.